I saw this dish in the Better Homes and Gardens Dinner on a Dollar magazine and just knew I had to give it a try. It looked so elegant and like something out of a Victorian novel when the ladies were getting together for tea. Then I went shopping and kid you not, each serving clocked in at less than a dollar a serving with some smart buys at the 99 Cent Store and Smart and Final. I was definitely stoked to try this one. Beside switching the garlic clove to onion, the other change I made was a cheese switch. Ricotta can be pricy in my opinion and pretty much tastes the same as cottage cheese. So given the option of purchasing the $1 cottage cheese or the $3 ricotta, I opted for the lesser expensive and a personal preference cottage cheese. They have the same flavor profile, consistency and texture for the most part – especially if you get small curd cottage cheese. Draining the cottage cheese maybe needed if the cottage cheese is extra watery. But that really was my only change. 1. Spread the zucchini and the summer squash in a single layer onto a baking sheet and sprinkle with salt. 2. Transfer the salted zucchini and summer squash to a colander and drain for 15 to 30 minutes. 3. Remove from the colander and place again in a single layer on a baking sheet and pat dry with a paper towel. 5. On a large piece of parchment paper, roll out the piecrust into a 12 inch circle. Move the piecrust and the parchment to a large baking sheet and set aside. 6. In a large bowl, whisk together the lemon juice, lemon zest, cottage cheese, Parmesan cheese and mozzarella. Add 1 teaspoon of olive oil and blend. 7. Spread the cottage cheese mixture over the pie crust making sure to leave at least 1 1/2 inch of a border around the crust. 8. 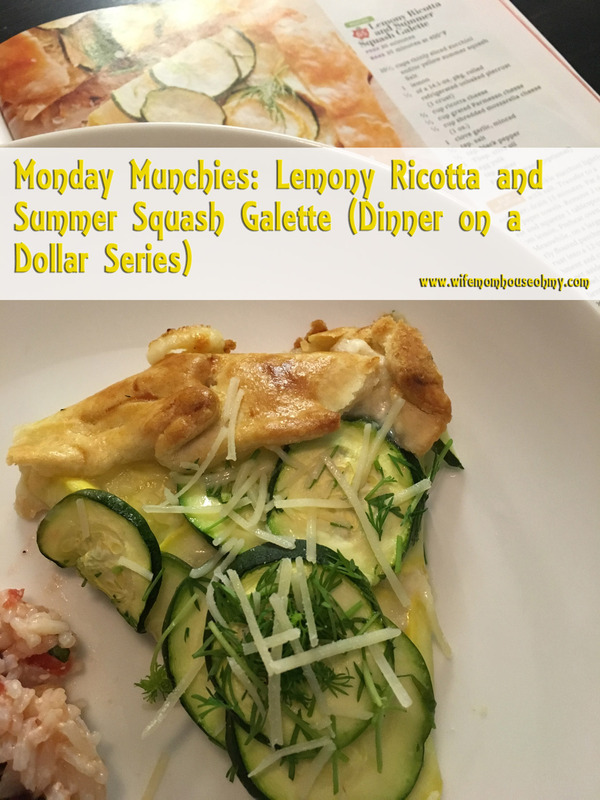 Top the pie crust and cottage cheese mixture with the zucchini and summer squash and layering it. Drizzle with the remaining olive oil on top of the zucchini and summer squash. 9. Gently fold the crust edge over the edge of the zucchini and summer squash. Pleat where necessary. 10. In a small bowl whisk together the egg yolk and the water. Lightly brush the egg mixture onto the pie crust edge. 11. Bake for 35 to 40 minutes or until the edges are golden brown. 12. Sprinkle with the fresh dillweed and serve warm. This was sooo good! Loved the hint of fresh lemon.